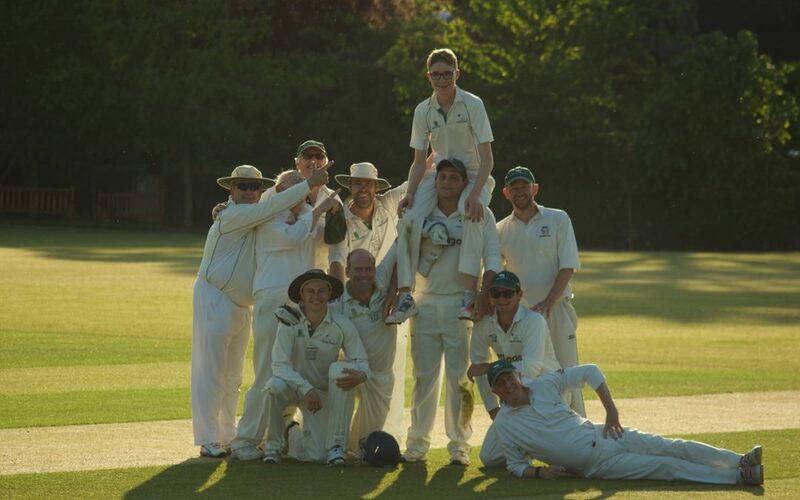 The Sunday season got off to a great start yesterday in the sunshine with 3 centuries being scored all by ODCC players. Gus Watts joined Paddy at the crease and before long Paddy had knocked up his 100 and retired as well. Ed Owens and Gus then saw us to 258 off 35 overs at which point we declared without actually losing a single wicket. That gave the opposition around 42 overs to get the runs and with James Ellwood playing for the Valuers and opening the batting the total was gettable. Will Watts and Adam Beck opened the bowling and bowled well, but couldn’t get rid of Ellwood. With 20 overs to go we Ellwood was on 85 not out and under 8 an over were required with only one other wicket down. It was time for the introduction of Lurcock and first ball Ellwood faced from Lurkers he was dropped. Then on the 4th ball he faced he was dropped again. James got to his 100 and retired and the opportunity for Downs was there to get the remaining wickets. With 4 overs to go we needed 4 more wickets. Ed Owens bowled brilliantly to take 2 of these, but that was it and the game ended in a draw.